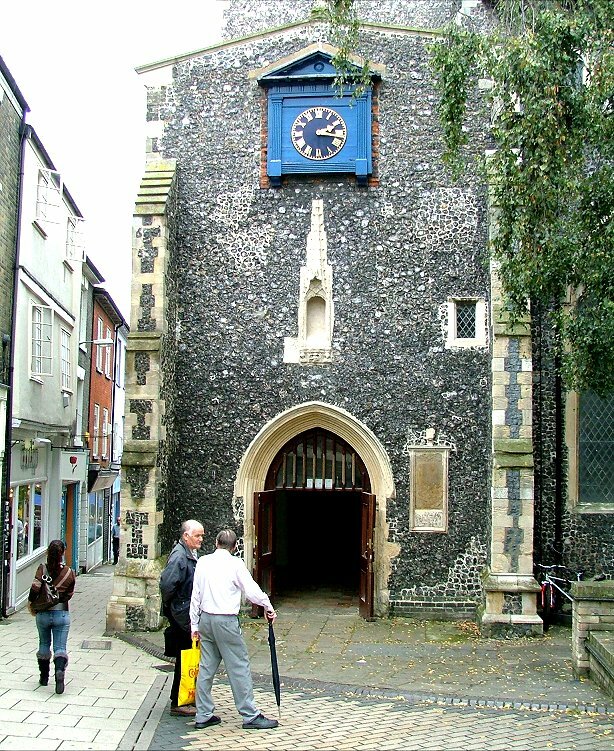 St Gregory is among the most interesting of the redundant churches of Norwich. 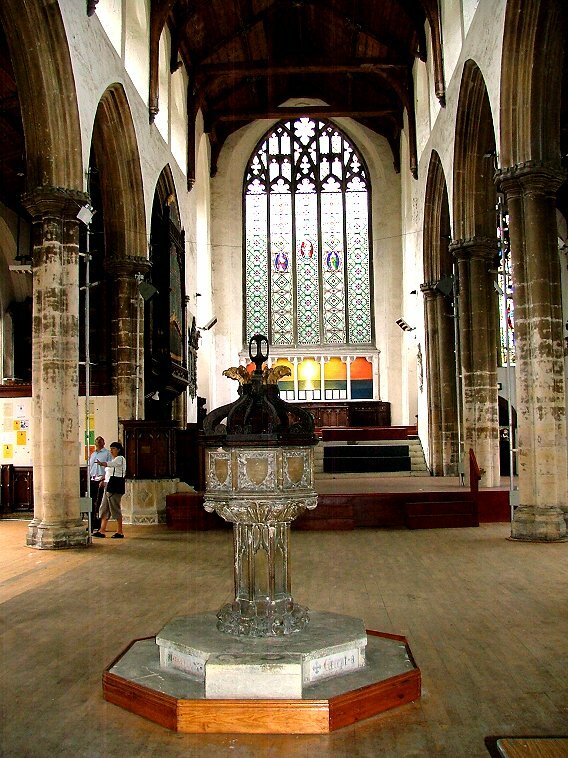 It is the most easterly of the five churches along St Benedicts Street, but it is more familiar for its southern side; its graveyard was cleared a century ago, and forms a town square onto Pottergate, giving the building quite a presence in the urban landscape. In some towns, you'd think this was the heart of the place. 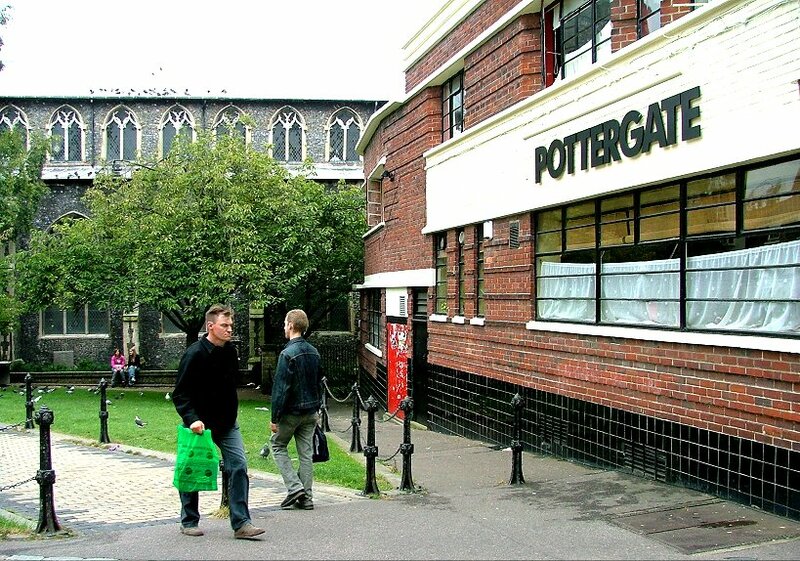 On another side of the square is the gorgeous art deco Pottergate Tavern, built by Bullards brewery in the 1920s, and today a listed building, quite rightly in my opinion. 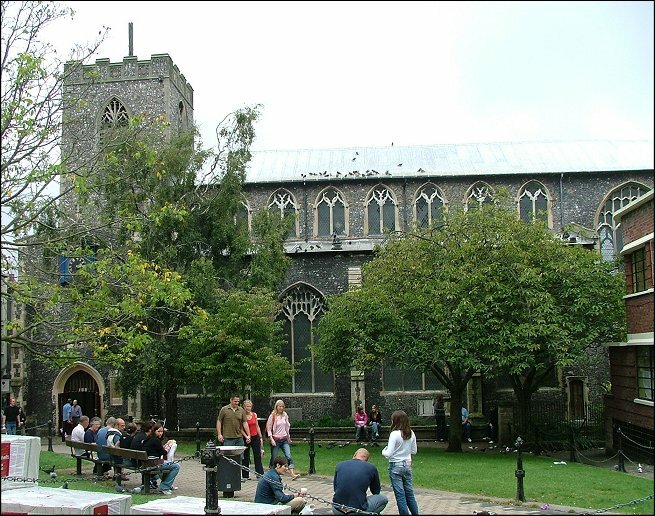 The 1948 Norwich City Plan observed that 'it is unfortunate that such an ugly building was placed at such a prominent site' - how times change. Mind you, this was the same Norwich City Plan that advocated flattening Orford Square, and building a mile long viaduct across the river valley from Bracondale to Thorpe, so we were probably never going to agree about a lot. It is a shame that St Gregory is not as easily accessible as the Tavern, because it would certainly have plenty of visitors. 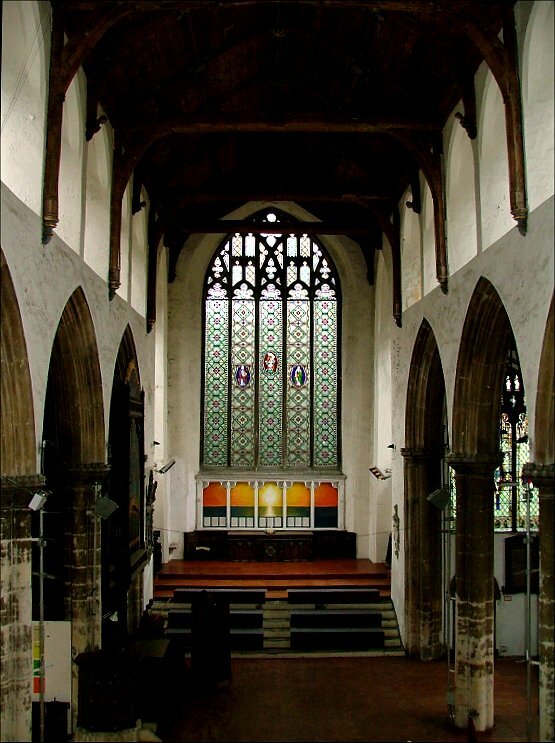 The height of the late 14th/early 15th century nave is accentuated by the way the eight window clerestory was built almost up to the bell windows of the tower. 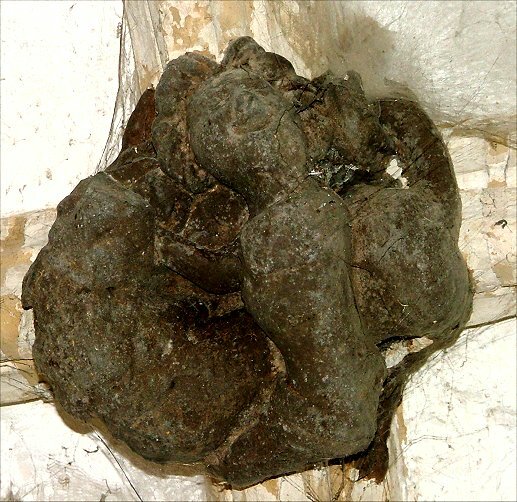 This tower has some evidence to suggest that it is Saxon in origin, although what you see today is almost all Richard Phipson's 1870s refacing of a 14th century shell. 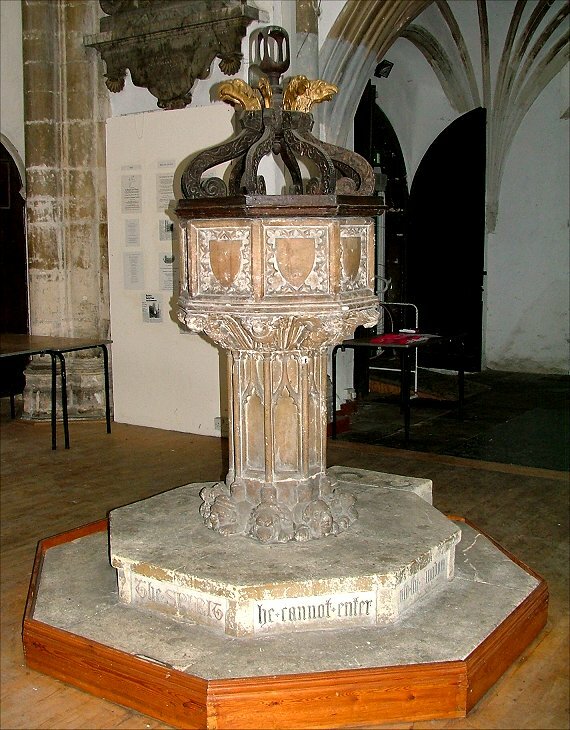 It supported a spire until the 18th century, a compensation perhaps for not being taller. 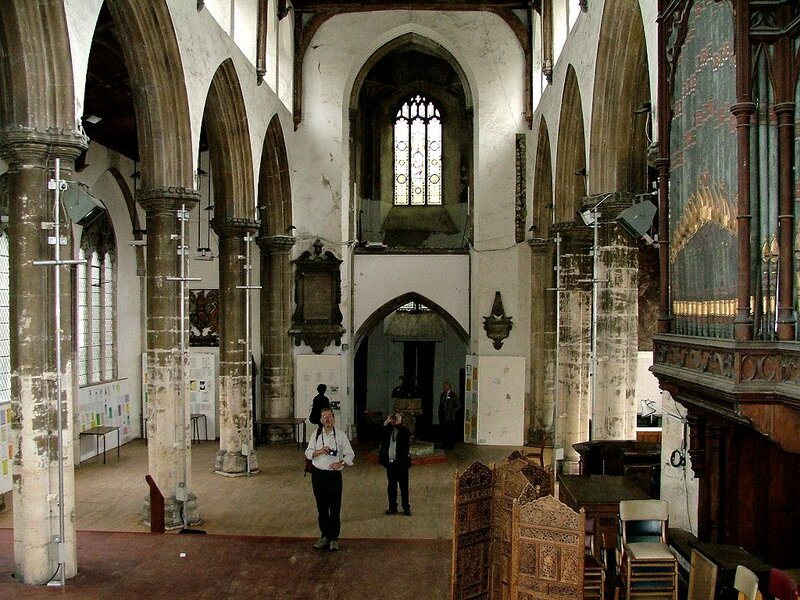 To the east is the chancel with enormous windows, and a sloping tunnel beneath to accomodate St Gregory's Alley. You enter through the grand two-storey porch, which is set directly into the tower like that to the north. The lower level is vaulted, and there are three sculpted bosses, still bearing their original colour. 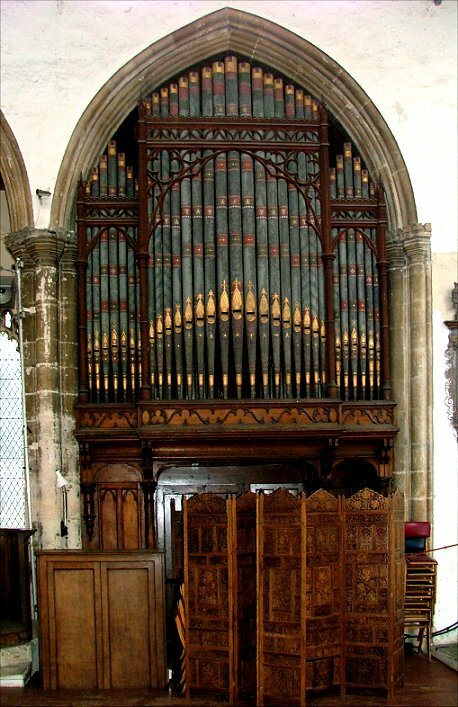 The subjects are not immediately clear; Pevsner recognised St Gregory teaching music, and a martyr going to execution. Ununsually, there are large seats built up within the window splays. 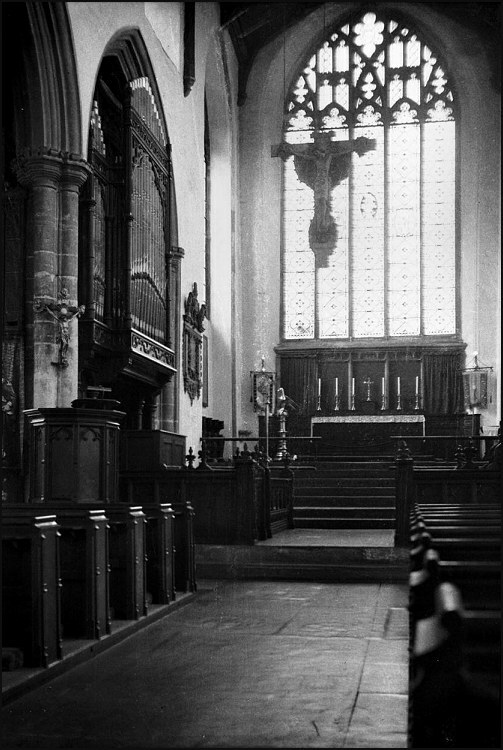 You step inside to a building that is reminiscent of St Lawrence, immediately across St Benedict's Street; the eye is drawn eastwards by the marching lines of unbroken arcades, and the chancel builds in steps to a wooden altar which is about eight feet above the nave floor. This is to accomodate the tunnel beneath. 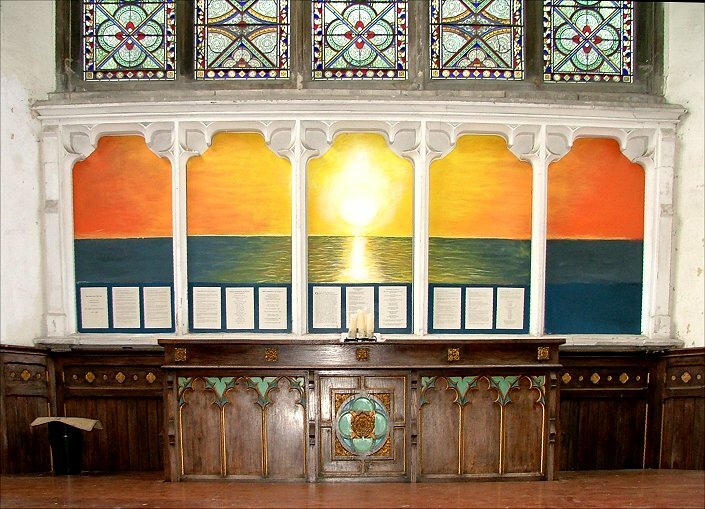 A modern reredos of the sun rising over the sea is not unattractive, and the only other feature in the body of the nave is the fine 14th century font. 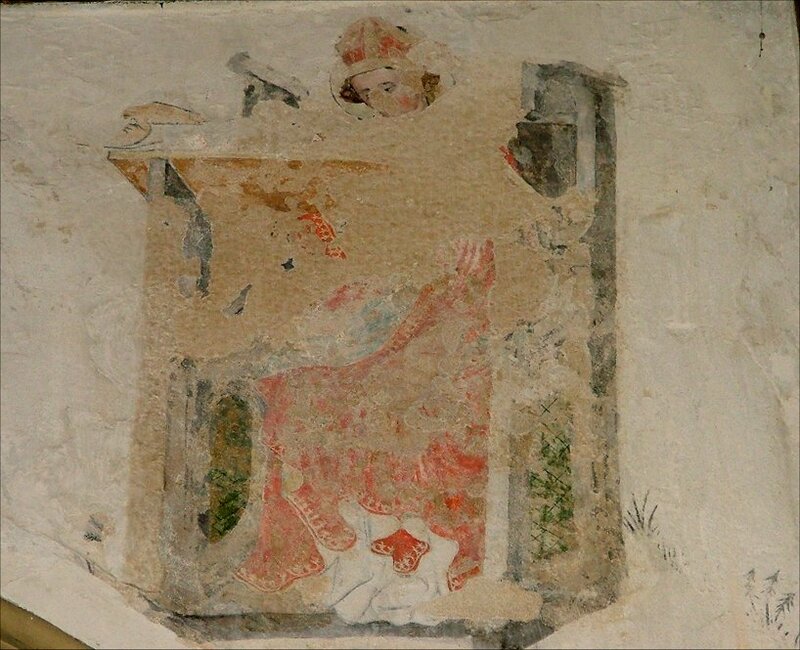 St Gregory is famous for some of the finest wall-paintings in East Anglia. 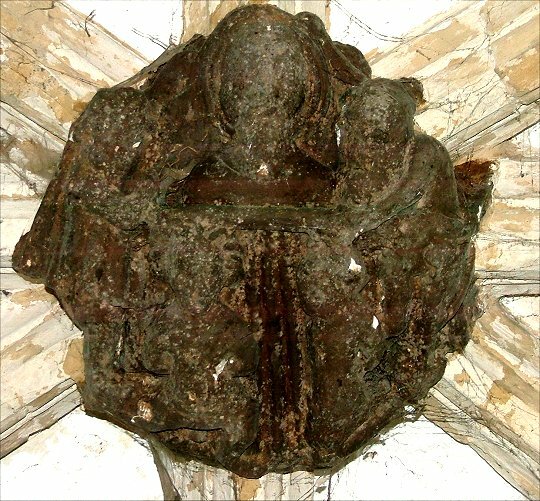 The best known is at the west end of the north aisle. 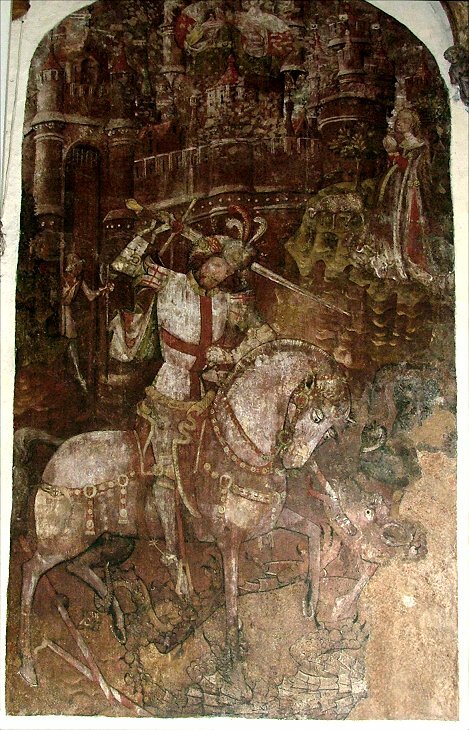 It depicts St George killing the dragon, a magnificent city behind with the princess watching. 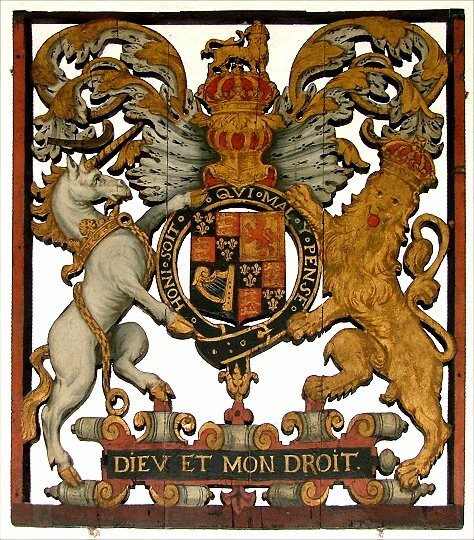 It is fully twelve feet high, and vibrant with colour, as if it had been taken from a giant's illuminated book of Saints. 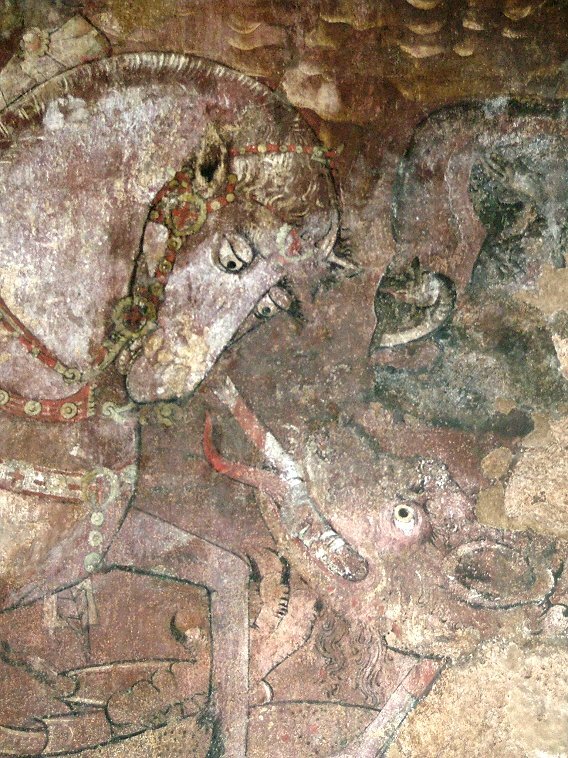 The way the horse stares into the dying dragon's eyes is most powerful. You can see this on the left. 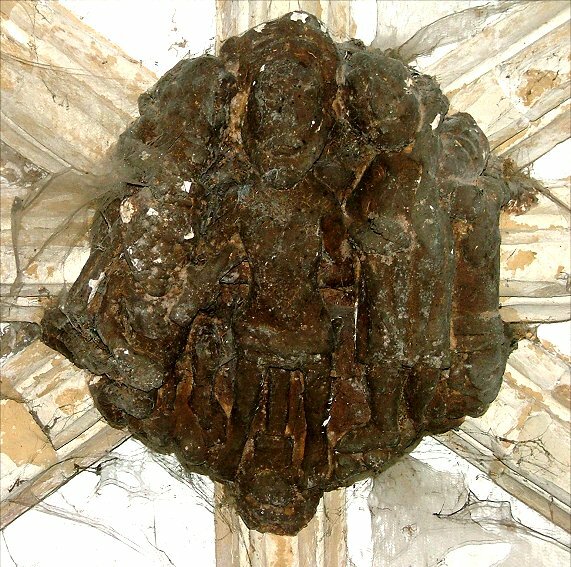 The other fragments are above a window in the south aisle. 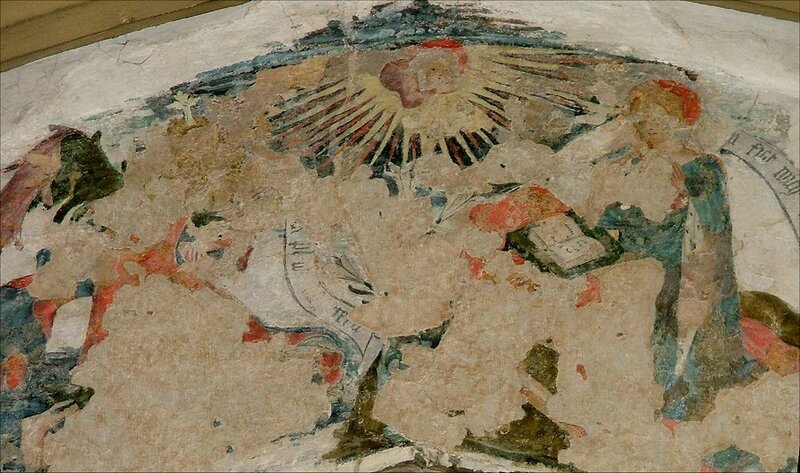 The main part appears to be a doom, with Christ seated in judgement watching another figure, probably St Michael weighing souls. To one side is a Bishop, apparently preaching. 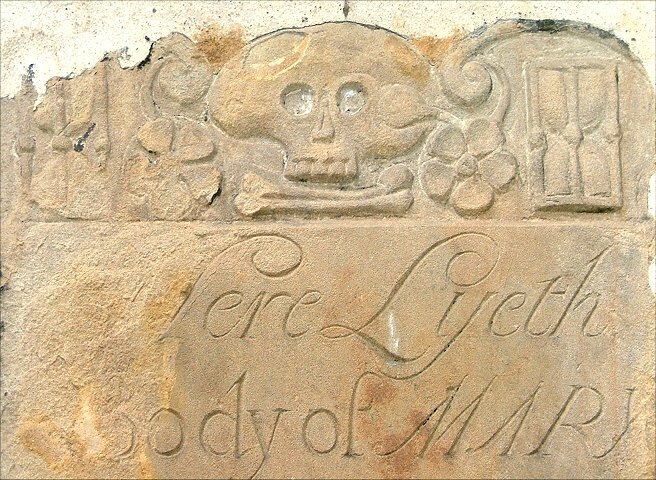 This church was in the care of the Cathedral priory, which may suggest a meaning. You can see these below. 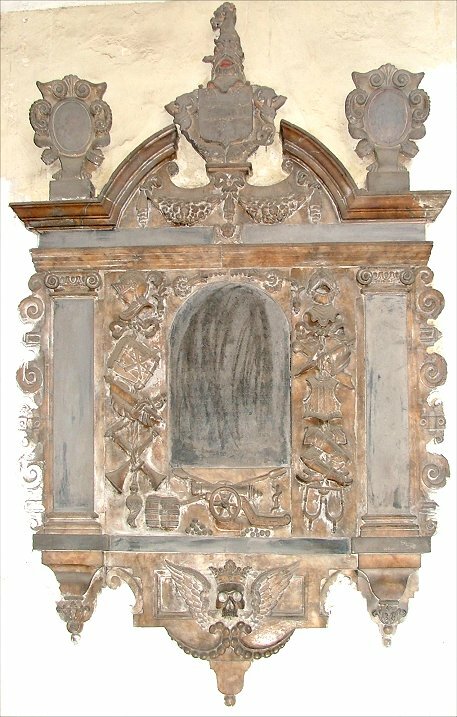 Not far away in the east end of the south aisle is the 17th century tomb chest of Francis Bacon, and there are a number of good 17th and 18th century memorials around the church. 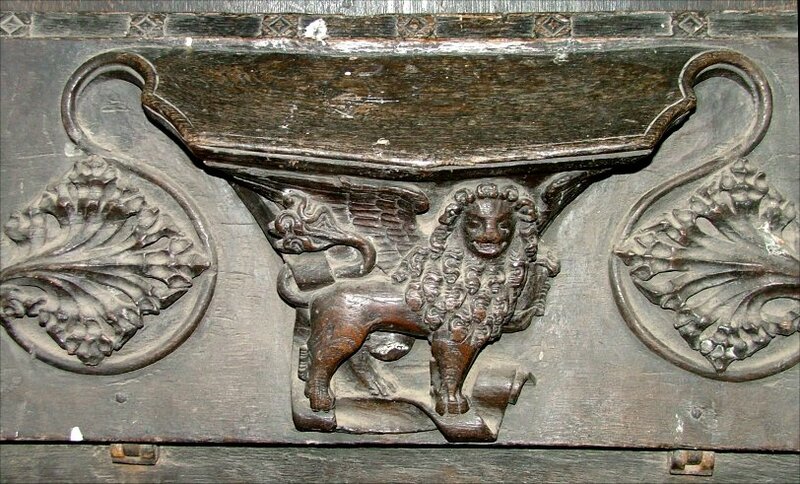 Some medieval misericords survive, and there is a good fretwork royal arms of Victoria, unusual in a town church. 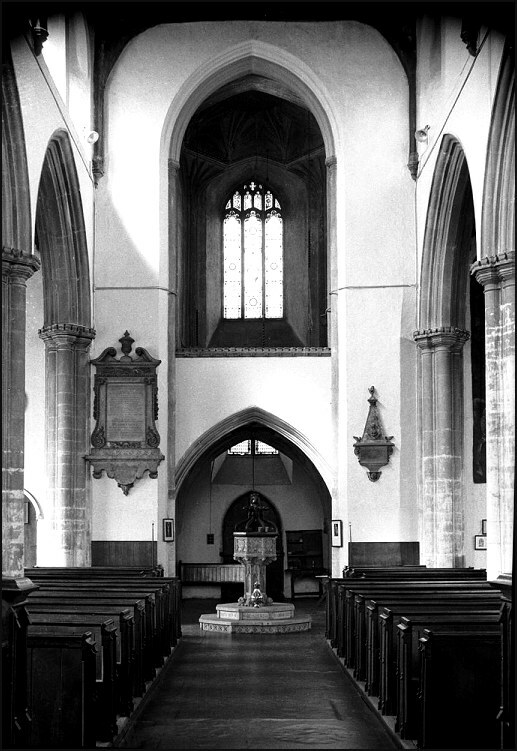 That this was a solid town church before redundancy can be deduced by comparing George Plunkett's 1938 photographs with mine. 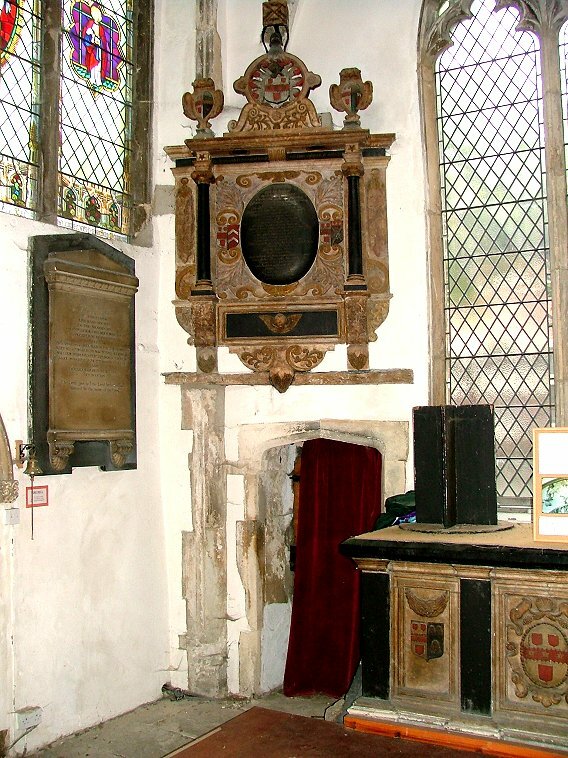 The great hanging rood that he saw here is now a few miles off at Easton. 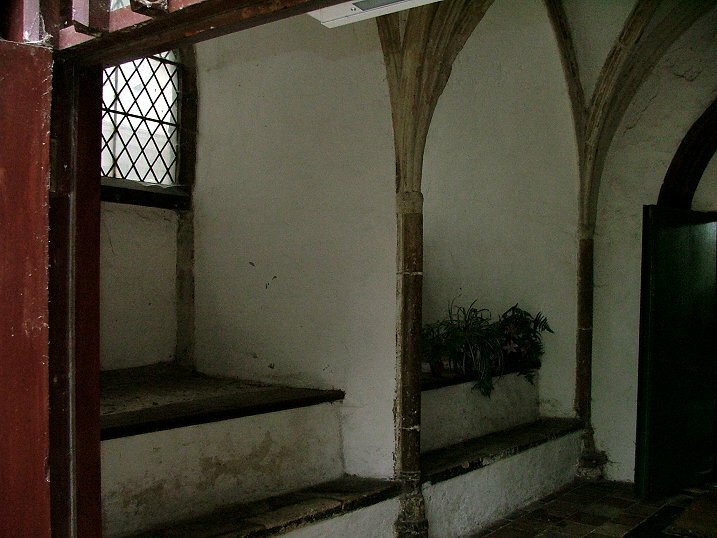 One of the most interesting places to wander is the ringers gallery under the tower - there is a whole set of rooms up here, the upper storeys of the porch opening into the space, and the steps to the tower leading off of that to the north. I found it open, and was tempted to wander up, but there was no light; and, as I also have a mortal fear of heights, I didn't.